Pirate first baseman Lyle Overbay waits for the throw as pitcher Charlie Morton attempts to pick Cincinnati Reds left fielder Drew Stubbs off first base under the watchful eyes of first base umpire Tony Randazzo. Pittsburgh Pirates short stop Chase D'Arnaud dives back to first in time as Reds first baseman Joey Votto catches the pick-off attempt under the watchful eyes of first base umpire Tony Randazzo. 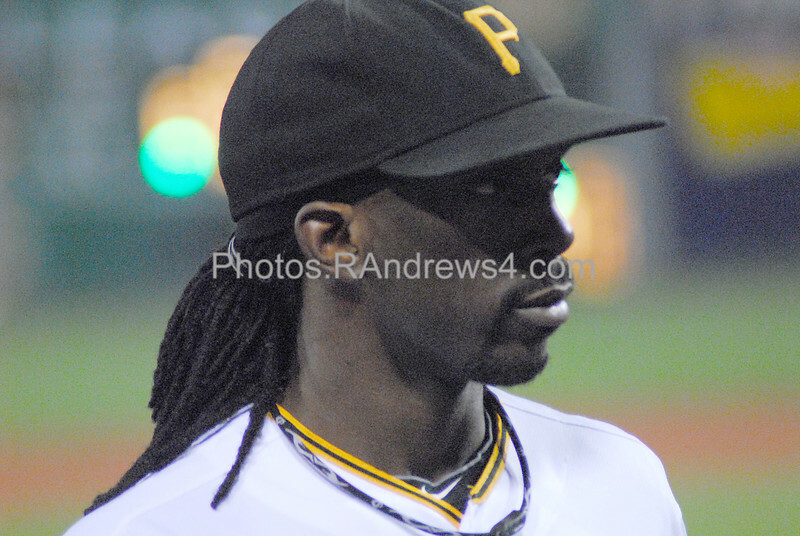 Pittsburgh Pirates center fielder Andrew McCutchen. 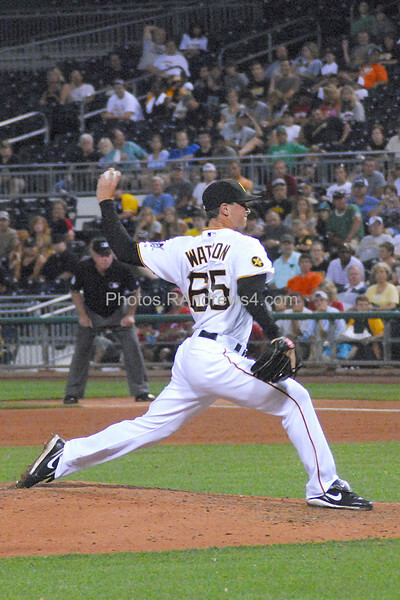 Pittsburgh Pirates relief pitcher Tony Watson delivers the pitch. 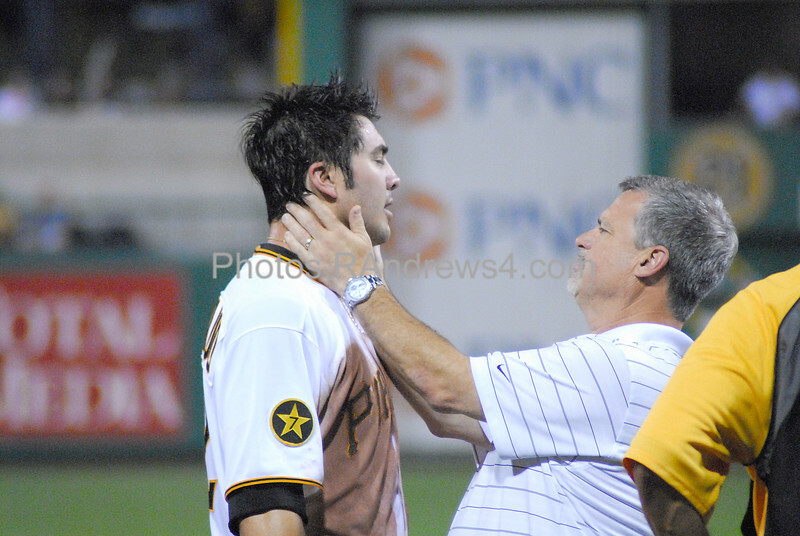 Pittsburgh Pirates short stop Chase D'Arnaud is checked by rehab coordinator Marc Oceguera after a hard head first slide into third base. 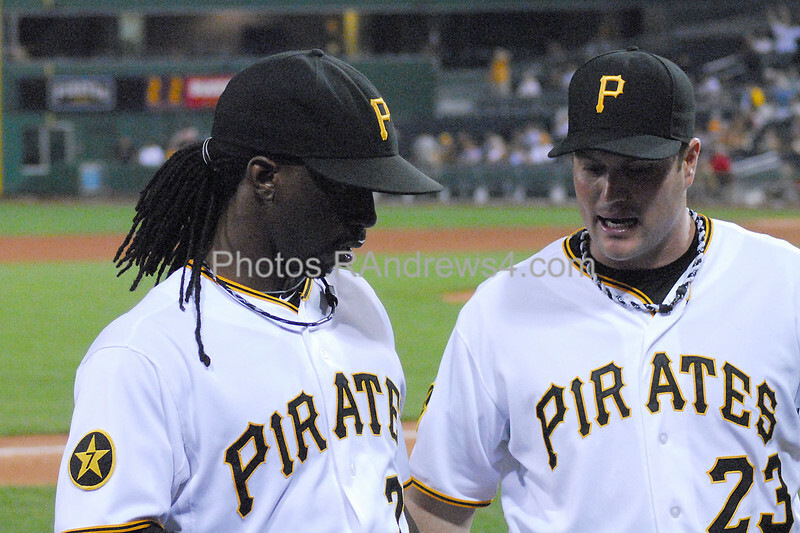 Pittsburgh Pirates center fielder Andrew McCutchen talks to right fielder Matt Diaz between innings. 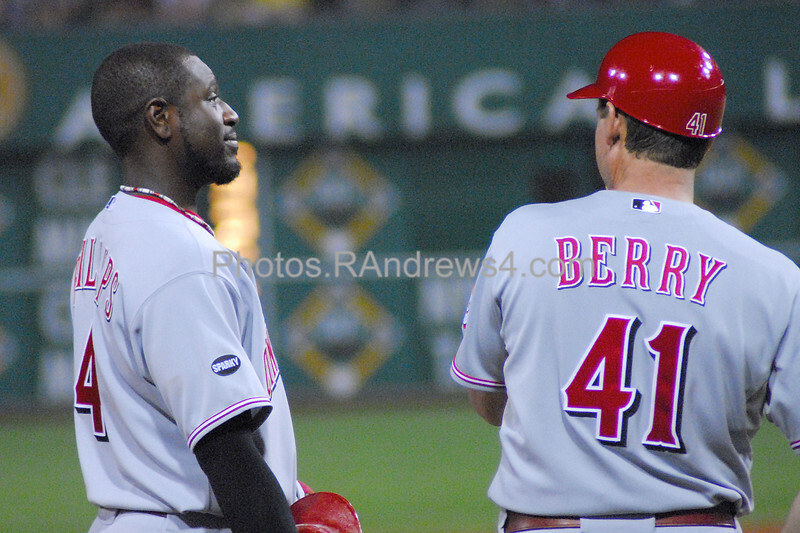 Cincinnatti Reds second baseman Brandon Phillips (#4) talks to third base coach Mark Berry (#41). 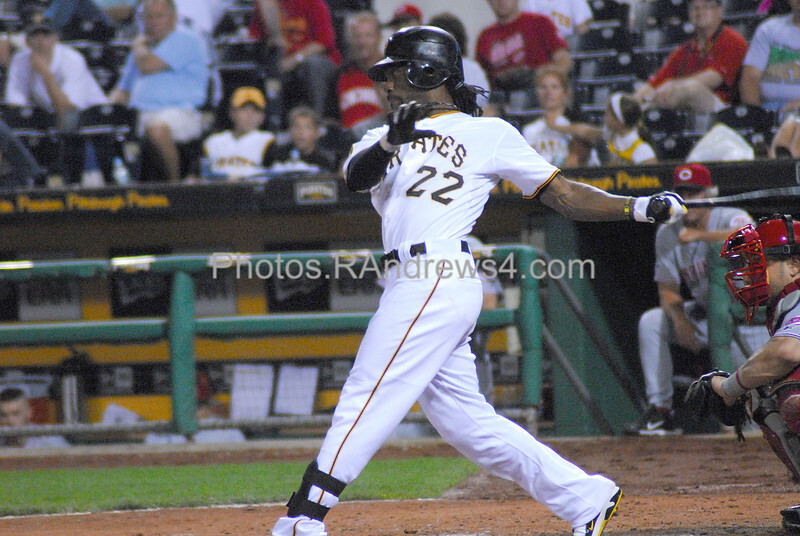 Pittsburgh Pirates center fielder Andrew McCutchen fouls off the pitch as catcher Ramon Hernandez looks on. 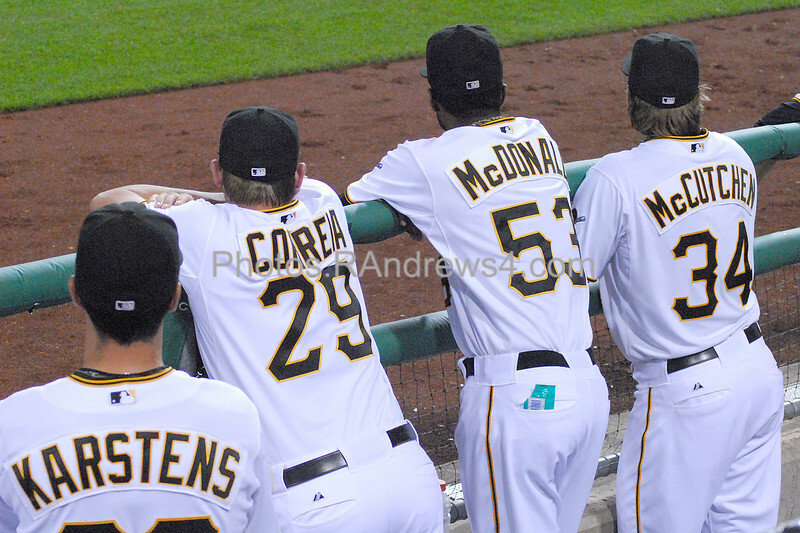 Pirate pitchers Karstens, Correa McDonald, and McCutchen are up on the dugout rail cheering on their team mates. 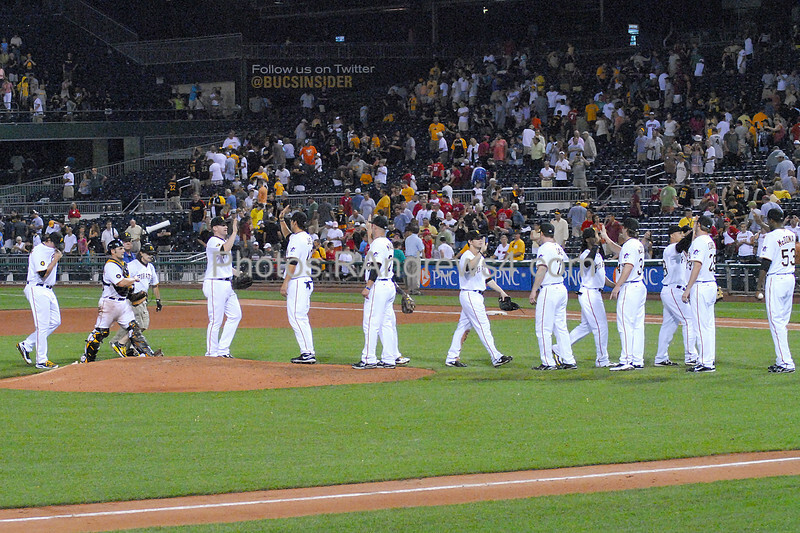 High fives follow the victory over the Reds and the Pirates take sole possession of first place. 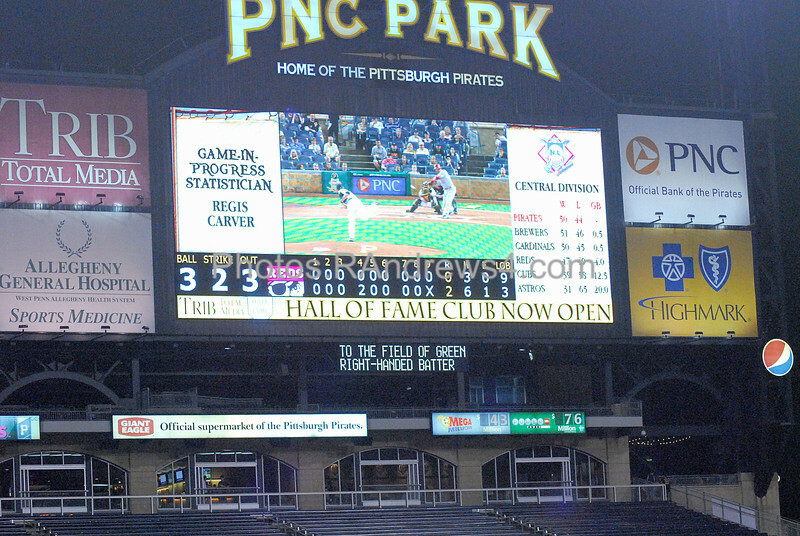 After 4 Pirate pitchers combine for a 3 hit shutout, Pittsburgh is in first place.